Negative Ghostrider. The patern is full. Roger, Roger. What’s the vector, Victor? I always wondered what that would look like. it doesn’t look very comfortable does it? I just want to say good luck and we’re all counting on you. Elaine Dickinson: You got a letter from headquarters this morning. Elaine Dickinson: It’s a big building where generals meet, but that’s not important. 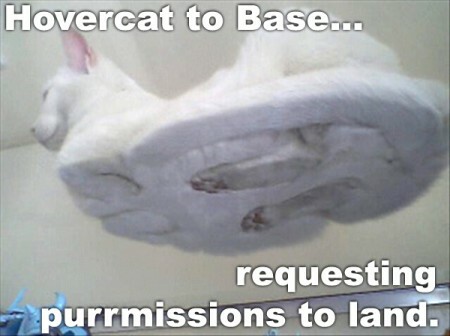 I flew single engine fighters in the Air Force, but this hovercat has FOUR engines. It’s an entirely different kind of flying, altogether. There’s no reason to become alarmed, and we hope you’ll enjoy the rest of your flight. By the way, is there anyone on board who knows how to fly a hovercat?